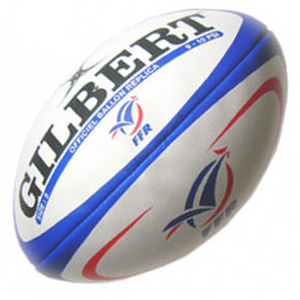 Is there any reason for the fact that rugby and American football share this (quite unusual) ball shape? Do they have common roots? 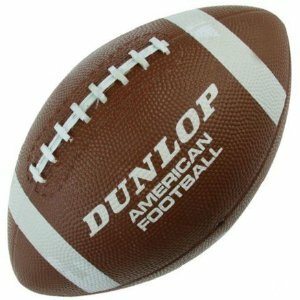 Does the American football ball come from the rugby one (which doesn't have the laces)? Is there any accepted "proof" behind this? Since American football evolved partly from rugby1, it's no surprise that their shapes are similar. The main reason for the oblong shape is to allow carrying the ball by hand. A round ball kicks very well indeed, but is very easy to knock away; an oblong ball is still effective to kick and is much easier to grip. American footballs kept the same basic shape but added laces and pointed ends because both features make the ball easier to throw. Rugby, of course, needs neither feature. 1 See Wikipedia's History of American Football. Ironically, the first American football game that used an oblong ball and allowed carrying was Harvard vs. McGill, a Canadian university. The shape of both is mostly to do with aerodynamics. An American football needs to be thrown over long distances, and the ball's shape helps it maintain its trajectory and is therefore easier to throw. Although it doesn't need to be thrown over as long a distance, the game is predominantly played from hand to hand. I'd disagree with admartian in that the ball is passed far more than it is kicked. As an example, look at the recent six nations match between Wales and France where Wales completed 164 passes and France completed 99, compared to both teams combined only kicking whilst in possession 67 times. They are similar and different because they share a similar lineage. The main difference is down to their purpose. American footballs are predominantly designed to be thrown (hence the narrower end-points), while Rugby balls tend to be thicker as they are just as commonly kicked as they are passed around. Like Lacrossse, Rugby and Football are both adaptations of Native American games. Not the answer you're looking for? Browse other questions tagged american-football equipment rugby or ask your own question. Which factors have been most prominent in the switching of codes amongst professional players? Why do american commentators call the ball “the football”? American Football: Why take knee before halftime? What is it like to change from football (soccer for the Americans) to rugby?